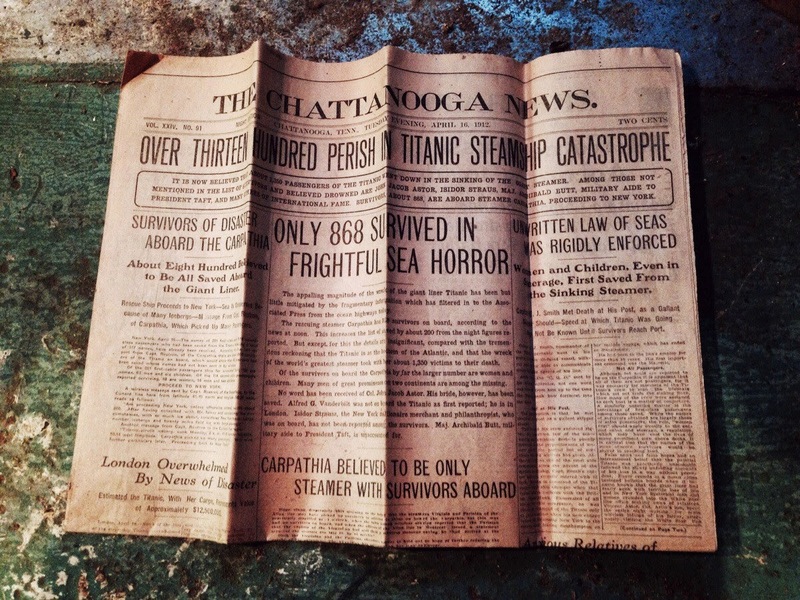 An edition of the newspaper The Chattanooga News dated April 16, 1912 with stories about the sinking of the Titanic in the frontpage was found by a man while cleaning out his grandmother's basement. The RMS Titanic sank in the early morning of April 15, 1912 after smashing into an iceberg in the North Atlantic Ocean during its maiden voyage. The paper which looks to be in great condition is over 102 years old. And given the fact that it covered a huge event in history, it had some people curious if it can fetch a fortune when sold to antique collectors. There are people out there who collect things related to the Titanic. Someone with the username TheKookySpooky who claims to be an antique dealer left a comment on the photo which was posted on Reddit. His comment gives an idea as to how much the old newspaper might fetch among collectors. Here's TheKookySpooky's comment: "Antique dealer here. There's lots of interest in Titanic collectibles. Lots of things worth lots of money. Newspapers from that era can be worth as little as $5 and as much as $1000. Depending on city, rarity, condition of the newspaper, and economy, is what determines the value. 2 categories here. Titanic collectibles, and ephemera (paper items) collectibles. Best place to find value would be in to find a person who specializes in those."